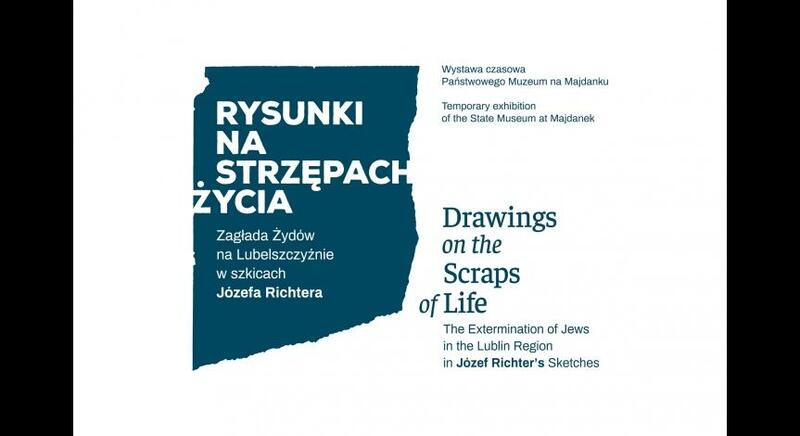 The exhibition presents a collection of 18 drawings by Józef Richter, dating back to the period from 1942 to 1944 and depicting the persecution and extermination of Jews in the Lublin region. Apart from scenes from the labor camps in Trawniki and Lublin, the concentration camp at Majdanek, and the death camp in Sobibór, the images also relate to the history of the ghettos and other sites of the Holocaust in the Lublin District. During World War II, the Lublin region became the arena of brutal anti-Semitic policies implemented by the German occupiers. In the autumn of 1939, the Lublin District was created from most of the area of the former Lublin Voivodeship. It was incorporated into the general Government (GG), an administrative unit established in a part of pre-war Polish territories. One of the main tools of terror aimed against the Jewish population relied on a number of camps set up and supervised by the German police forces. The first labor camps were established in the Lublin region as early as in late 1939. Over time, they formed a dense network of facilities intended for the exploitation of Jewish forced laborers. In the autumn of 1941, the KL Lublin concentration camp, commonly known as Majdanek, was established in the Lublin District’s capital city. One of its functions was to serve as a reservoir of Jewish work force for the region. Lublin was also the seat of the headquarters for the mass extermination of Jews in the GG initiated in March 1942 and conducted at the death camps in Bełżec, Sobibór, and Treblinka. Józef Richter’s drawings were sketched on newspapers and German announcements, whose copies are also included in the exposition. Complemented by excerpts from eye witness accounts and the curator’s commentaries, these fragments of war-time reality provide a background for the efforts to illustrate the extermination of Jews in the Lublin region. 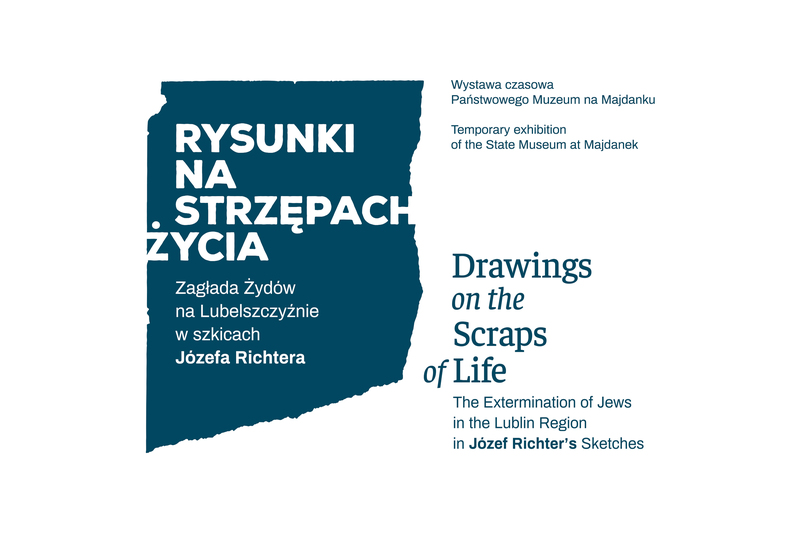 The drawings and very existence of Józef Richter were discovered by Miriam Nowicz of the Lohamei HaGeta’ot kibbutz in Israel. However, apart from his name and surname, little is known of the author himself. Nowicz, who travelled across post-war Europe in search of source materials documenting the Holocaust, happened upon the collection of Richetr’s works during her visit to Poland. A resident of one of the villages in the vicinity of Chełm, who had held on to the drawings until the end of the war, informed the researcher that the author of the unique collection had enlisted with a partisan unit and died in combat. There are a number of hypotheses as to the identity of Józef Richter. He most probably lived in the Chełm. During the occupation, he was likely was employed as a railroad worker involved in the modernization of the Dorohusk – Chełm – Lublin railway line. It is possible that he belonged to the so-called Baudienst – the German Civil Engineering Service exploiting Polish forced laborers. His mother tongue was definitely Polish as he inscribed the backs of his drawings in that language. The dates on the newspapers and announcements on which Richter sketched his works suggest that he continued to draw until the spring of 1944, depicting from memory various previously observed scenes. Regardless of who he was and what his work involved relative to the presented events and sites, his drawings reveal a deep compassion and understanding of the tragedy suffered by the Holocaust victims. Some of Józef Richter’s drawings are hastily sketched pieces recording the fleeting experiences of an eye witness. Others were done sometime after the depicted events. It remains unknown whether the author had any artistic background. On the one hand, his sketches are characterized by a certain simplicity and brevity, on the other – they attest to the artist’s considerable skill. Apart from their purely artistic quality, the collection of Józef Richter’s works has a unique documentary value as it depicts sites and events whose descriptions are available in only very scarce surviving historical source materials.